Biodiesel is a substitute for petroleum based diesel fuel, produced from renewable sources such as vegetable oils, animal fats, and recycled cooking oils. It can be used alone or mixed in any ratio with petro-diesel. It is one of many different types of what we call biofuels or bioenergy. 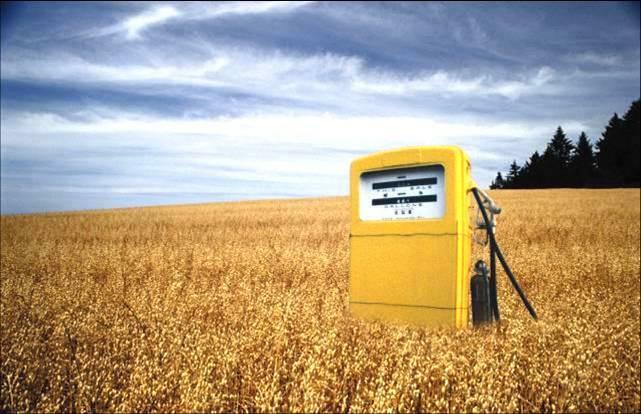 Biodiesel is a renewable energy source. It is clean-burning – producing no carbon dioxide, no sulphur dioxide and less particulate matter. It degrades about 4 times faster after spillage and can prolong engine life. If it is made from used cooking oil it’s not only cheap but is recycling a waste product that would otherwise end up in sewers and landfills. Biodiesel gels in very cold weather, but manufacturers blend additives with the biodiesel to overcome this. Biodiesel can also grow mould – to overcome this, add 1% of petro-diesel to your biodiesel. Biodiesel can degrade the rubber in the engine- but this problem was solved by engine manufacturers worldwide by using low sulphur diesel. There is a big debate around whether growing plants for fuel will negatively impact world food supplies. Biodiesel produced from waste and recycled products such as reused cooking oils do not face this problem. But when vegetable oils like palm-oil, canola oil, sunflower oil etc. are produced on large scales to produce biodiesel, issues around land rights, water use and the debate around food crops versus energy crops comes into play. Many people are concerned that biofuels will set up competition for food between cars and people. Should we be using land to produce fuel instead of to grow food? Many crops used for biofuel (corn, sugarcane, and soybeans) are also key sources of food for millions of people. Production of crops for fuel can displace other food-related crops, thereby increasing the cost and decreasing the availability of food. Because this is such a complex issue with so many factors, biofuel policies and industrial guidelines and regulations need to take each country or region’s specific situation into account and consider all the following factors: land availability, human rights, land ownership, food security, arable land, water scarcity etc to ensure that the production of biodiesel does not negatively impact the environment or access to food. It is also important to ensure that forests and other natural habitats are not being destroyed in order to plant crops for bio-energy in the name of it being a green fuel. WWF is campaigning for a Roundtable on Sustainable Biofuels Certification System which aims to put regulations in place to ensure that biofuels won’t impact food crops, won’t compete with water, or result in habitat destruction, will reduce greenhouse gas emissions and ensure that they are responsibly produced. This certification system aims to be able to trace the origin of the product along the entire supply chain. How much does biodiesel cost and where to get it around Cape Town? Biodiesel price should always be below petro-diesel, since it is exempted from some taxes and levies. Get it from Biogreen who have a biodiesel plant in Beaconvale, Cape Town. They collect used cooking oil from restaurants, hotels etc and turn it into biodiesel. South Africa has developed a policy framework supporting biofuels and just closed the public participation period for an amendment to the Petroleum Products Act 1977 for a mandatory blending of biodiesel (B5) with diesel and bioethanol (E2) with petrol. Read Project 90’s submission to the Government’s policy here. If you’re feeling really adventurous, you can even make your own biodiesel from used cooking oil in your own kitchen! This will not only save you lots of money on fuel but will help you to reduce your carbon footprint too. Learn how to make your own high-quality diesel motor fuel to use in your car without modifications here. What are your feelings on the food versus fuel debate? Do you think biofuels can play an important role in cutting our global carbon emissions, or is yet another way for large corporations to trash the planet in the name of being green? This entry was posted in climate change, Food Security, Renewable Energy, Transport and tagged climate change, Food Security, Renewable Energy, Transport, wwf. Bookmark the permalink. As long as biofuels rely on industrial agriculture, I wouldn’t support them. The idea of using chemicals made from oil to produce a different kind of oil seems ridiculous. How about reshaping our cities to be easier to commute in without a car? I agree with Richard too – the responsible soya roundtable, although it had some good wording around deforestation, included GE Soya – anything but responsible! Some of the information in the page above is either incorrect or inaccurate.